The VW Amarok is among most popular one-ton pickup trucks on the global market and one of the freshest as well. An extensive update in late 2016 made this truck more premium and capable and smarter as well. 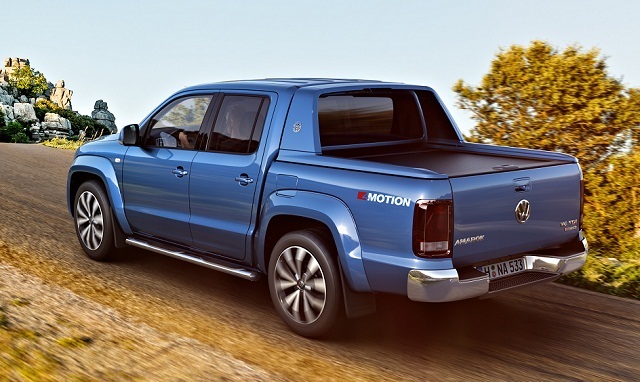 VW ditched the 2.0-liter TDI engines in favor of a meaty and smooth 3.0-lite V-6 TDI and the Amarok is the only ute with the V-6 turbodiesels in the class. But, the Amarok also comes with the biggest tray and permanent all-wheel drive. The model also shares a lot of the look with the SUV models but also the interior refinement. 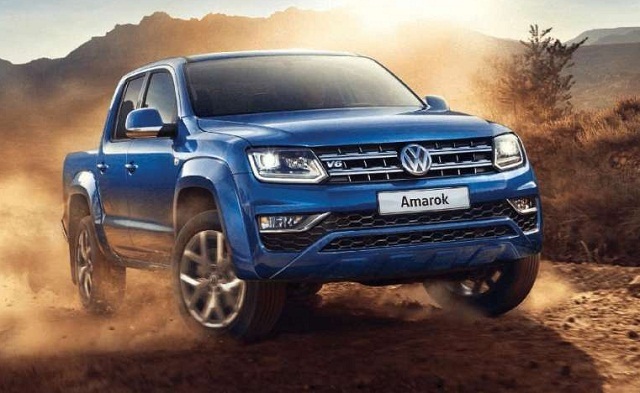 As for the next version of this truck, the 2019 VW Amarok, the latest reports promises some equipment upgrades including new high-spec version, more safety items and possibly more potent version. VW hasn’t revealed details about the upcoming version yet. As the things now stand, the 2019 VW Amarok will likely return with the four-door body only and the styling will also be carryover. The model has attractive front fascia with the styling elements similar as on brand’s SUV models. The horizontal, two-slat grille design comes combined with attractive, nicely accentuated headlights and model also has nicely shaped front bumper. Pronounced fender flares give it more rugged profile look while the sleek tailgate comes combined with nice, vertical taillights. For the new model year, VW will likely add new color combinations, new wheel designs, and possibly new exterior theme. The Amarok prioritize the ride comfort and interior refinement and has one of the widest bodies and cargo beds in the class. The four-door cabin is also the only choice and it delivers great interior comfort and features. The dash design is also simple but efficient and easy to use and understand. The model will also offer a number of desirable comforts and tech features and we should expect upgraded safety equipment list. The equipment offer will be generous from the base versions. The next after the entry-level version will offer leather multi-functional steering wheel, a 6.3-inch touchscreen interface, two-zone automatic climate control, six speakers, etc. Upgrades in upper grades will include leather upholstery, power and heated seats, parking sensors, premium sound system, upgraded infotainment features, bigger wheels, exterior adornments, etc. When it comes to how it rides and tow, the 2019 VW Amarok will stay in the top class. The only V-6 turbodiesel in class will come in different states of tune. This engine is more refined and smoother than four-cylinder TDI it replaced after the recent refresh. A 3.0-liter V-6 unit will produce 201 hp in the base-spec version. More muscle will provide a 221 hp version and torque will hit 530 Nm. Some reports also hint additional more potent version of this engine for the 2019 Amarok. In that application, it should produce around 254 hp. On the other hand, the Amarok will return with the six-speed manual and eight-speed automatic transmissions. The rear-wheel-drive version will have an alternative in the 4Motion all-wheel drive with Torsen center differential. The 2019 VW Amarok will hit the market in late 2018. The price range will start close to the current level while reported upgrades would raise the max price over the current top.